Dental damage and disease can affect anyone, and while our team will do their best to help patients prevent these issues from becoming serious, restorative care is always available to rebuild and revitalize teeth in need. Dr. Melvin Pierson offers quality, compassionate services that can handle a wide variety of concerns, from minor cavities to full-blown tooth loss. 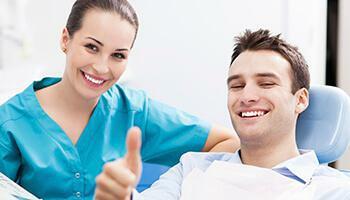 If you require help, don’t hesitate –contact Pierson Dental in Sicklerville, NJ today to schedule an appointment. With the state-of-the-art power of CEREC, Dr. Pierson can now restore your teeth with high-quality ceramic dental crowns and other restorations over the span of a single visit! This technology combines a high-powered camera, computer, and in-house milling unit. First, we’ll scan the affected tooth/teeth with the camera, transferring the digital impressions we’ve captured to the computer for design. Once the design is complete, it’s sent to the milling unit for creation. After making any final adjustments, Dr. Pierson cements the new restoration in place within the smile, and you’re finished. 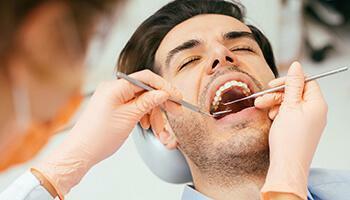 At Pierson Dental, silver amalgam fillings are a thing of the past when it comes to treating cavities. Instead, we offer tooth-colored fillings that are designed to treat dental damage in a virtually invisible fashion for premium aesthetics and comfort. 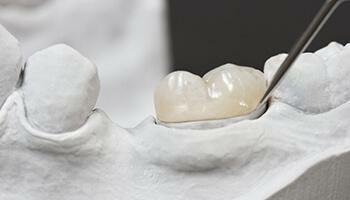 Tooth-colored fillings are crafted from composite resin that can be precisely shaded to match your original enamel. This service can be completed in a single day by Dr. Pierson for convenience. In addition to looking better, composite resin is also much more conservative and flexible than its metal counterpart, which means that our team is able to preserve even more healthy tooth structure during the procedure. Overall oral sensitivity is also greatly reduced, although some very minor discomfort is likely in the days immediately following the filling’s placement as your smile adjusts. Dentures have been around for hundreds of years, and because of their age, many patients suffering from extensive tooth loss have their doubts about choosing this tried-and-true reconstructive method. 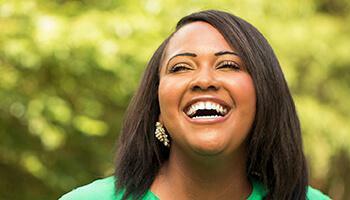 Do you think that your new denture will appear overly unnatural or bulky? Are you afraid that they will slip unexpectedly or prohibit you from eating your favorite foods? Do you feel like you’ll look more elderly than you really are? If these are your concerns, it’s time to talk to Dr. Pierson. Here in Sicklerville, we use only the highest quality materials and standards to craft modern, attractive dentures for our patients. Your new denture will fit securely within your mouth and allow you to chew and speak confidently while appearing beautifully natural. Both full and partial models are available that are removable, which allows for easy cleaning and storage. 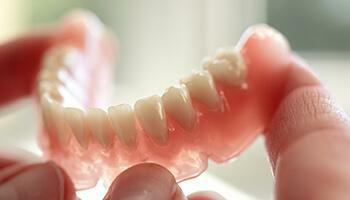 If you’d prefer a more permanent fit, implant-retained dentures are also a worthwhile option! When a tooth has become so badly damaged that an infection has penetrated the inner nerve, root canal therapy must be performed to restore its health and avoid the need for extraction. During this procedure, Dr. Pierson will carefully access the inner chamber of the affected teeth and thoroughly removed infected pulp from the area. After cleaning and sealing the tooth, a custom-made restoration is attached on top to rebuild its natural strength and shape. Root canal therapy is a highly successful procedure that’s more comfortable than ever thanks to today’s advanced tools and anesthetic. In fact, many treated teeth go on to serve patients well for the rest of their lives here in Sicklerville. At Pierson Dental, we will always strive to help you and your family maintain your wholly natural smiles– but sometimes, life gets in the way of this goal. Tooth extraction can become necessary over time for a number of reasons, including advanced dental decay, severe periodontal disease, or traumatic injuries. When you find yourself in a difficult situation like this, lean on our understanding team for the experienced support you need. We can remove the suffering tooth or teeth with exceptional precision and comfort, and plenty of quality reconstructive services are waiting in the wings to rebuild your valuable smile to its fullest potential. Another common situation that can lead to extraction is the impending third molars, more commonly known as “wisdom teeth.” These teeth are the last ones to emerge into an adult’s smile, and the lack of available space left in the mouth can result in dangerous overcrowding and impaction. Dr. Pierson may recommend the removal of one or more wisdom teeth as a preventive measure that’s designed to preserve your oral health and overall wellbeing.